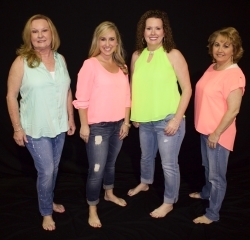 Dance Machines Dance Studio, Inc. (DMDS) has taught all aspects of dance for 21+ years. We know that each student may not realistically become a "professional" dancer. However, we do believe that well-educated dance students become well adjusted "professional" people. Dance education challenges students to become the best they can be - whether it is to grow in areas of self-esteem and socialization, retention and recall, or development. Dance taught by accomplished innovative instructors, under the correct circumstances with the correct terminologies and proper discipline, can build and supplement a student's well-being and life into one of pride and accomplishment. Those virtues then carry over into all aspects of everyday life. Thus the Motto - "KEEP DANCING!" DMDS has had students become professional dancers in New York, Los Angeles, etc. Many have also received college entrance with the help of their dance education. Some merely dance for fun and exercise. It is our sincere goal to provide dance education, development, and of course fun to every dancer.